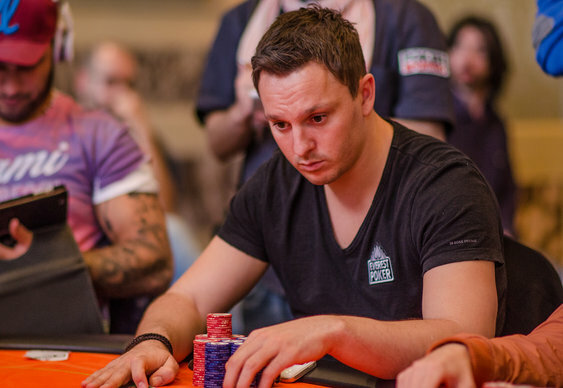 All eyes will be on Sam Trickett heading into today's Gioco Digitale World Poker Tour (WPT) Venice Carnival final table. Britain's biggest live tournament earner is well placed for a maiden WPT title and will return this lunchtime in second place with a stack of 911,000. The new face of Everest Poker will meet plenty of competition for the title though with a couple of top Italian pros likely to provide his main competition. The man in front is Andrea Dato who will be hoping it's a case of third time lucky in Venice. The Italian has reached the final table in Venice on two previous occasions and will return with 1,364,000. The other big name amongst the final six is Alessio Isaia who will be looking to regain the title he won in 2011. Isaia has been a prolific winner on the Italian Poker Tour too and closed the penultimate day in third place with 708,000. Rounding out the final table are Mario Vojvoda, Maurizio Saieva and Sotirios Koutoupas. Railbirds will be able to see whether Sam can win his maiden WPT trophy via a live stream.